Starting next week, Bungie is altering the barrier of entry a bit for Destiny 2: Forsaken. Previously, Forsaken also required the purchase of both previous Destiny 2 expansions, Curse of Osiris and Warmind. Starting next week on October 16, 2018, the financial burden will be lightened some as those expansions will come with Forsaken purchases for free. Bungie explains this decision as a move to make things less complicated for players who may have been away from the game for a while. But that’s not all. Bungie also has some goodies planned for players who have already made their purchases, so they won’t feel so bad about missing out on the sudden discount. 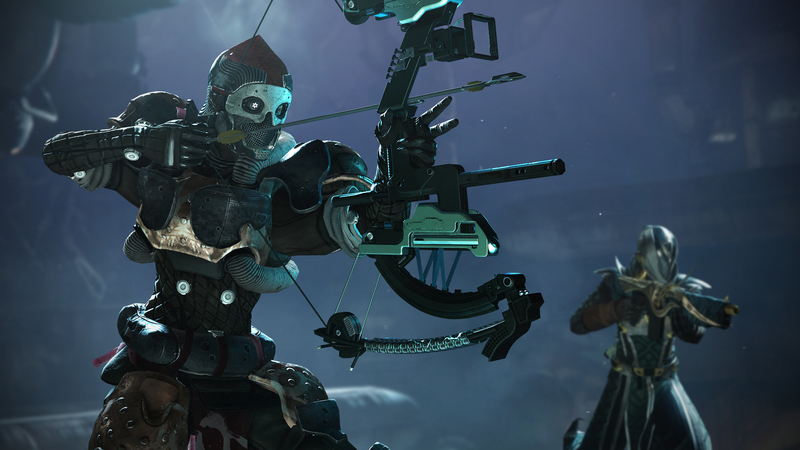 For anyone who has played Destiny 2: Forsaken prior to October 16, the Veterans of the Hunt Bundle will be awarded as a thank you for being part of the “vanguard.” The bundle comes with two unique items, the Tiger Stripe Black Shader and the Veterans Nameplate emblem. These items are exclusive to this bundle. Also included are two exotic emotes, the Knife Trick and Coin Flip. A set of consumables, comprising Fireteam Medallions, Vanguard and Crucible Boons, and Finest Matterweaves rounds out the bundle. The emotes will be available to everyone via the Eververse sometime later.